This is a listing of the daily gifts from the Advent Calendar in 2014. If you are participating in the NC Mall event, we also have a list of the Stocking Stufftacular gifts. The hidden bonus prizes also return this year. 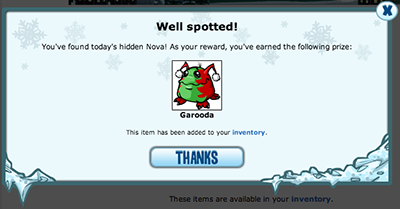 But instead of hidden novas, there are hidden candy canes! The location of each candy cane is linked below. The Advent Calendar has given out 28326 NP over 31 days this year! 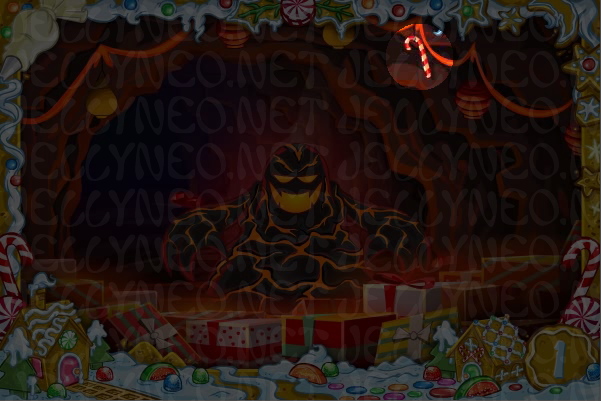 Hidden Candy Cane: Click the Candy Cane behind the Lava Monster. 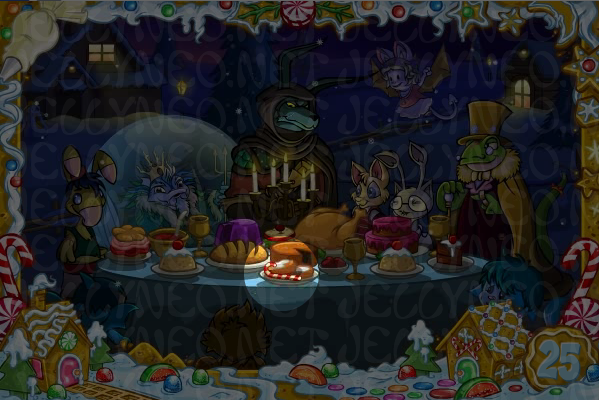 Hidden Candy Cane: Click the Candy Cane on the table. Hidden Candy Cane: Click the Candy Cane hanging on the tree. Hidden Candy Cane: Click the Candy Cane on the window of the house. 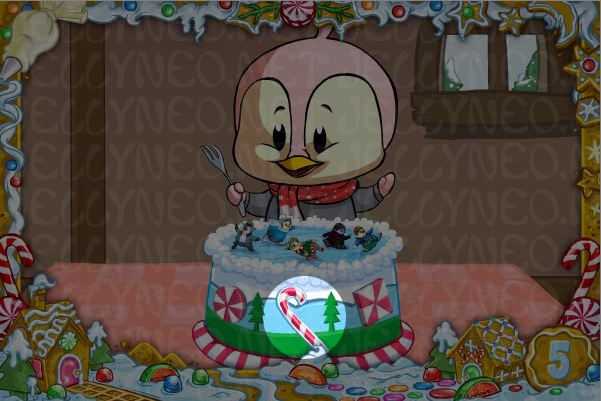 Hidden Candy Cane: Click the Candy Cane on the cake. 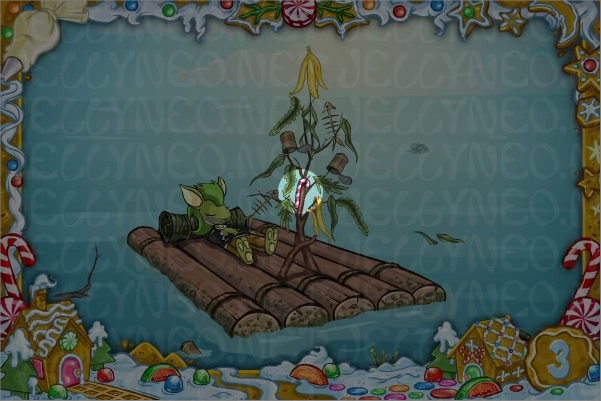 Hidden Candy Cane: Click the Candy Cane on the Kiko Pop board. 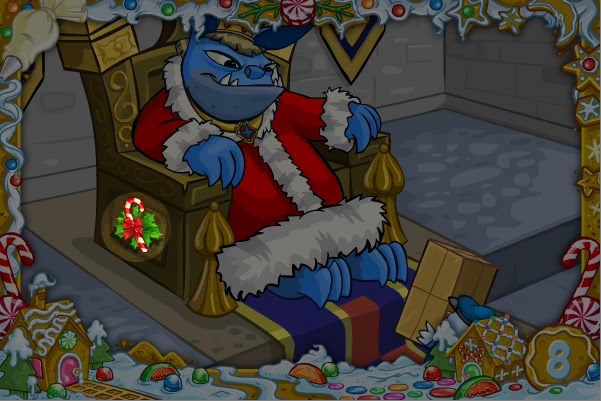 Hidden Candy Cane: Click the Candy Cane on the side of King Skarl's throne. 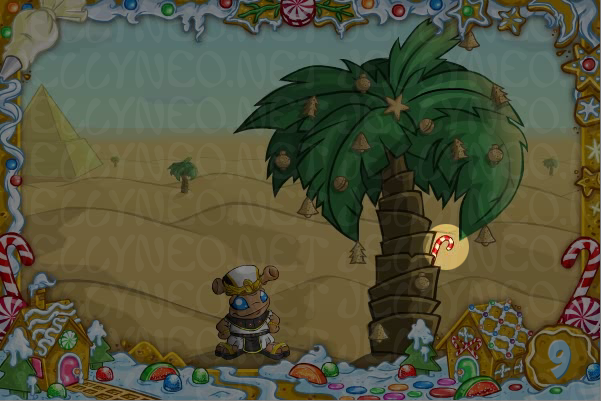 Hidden Candy Cane: Click the Candy Cane behind the palm tree. Hidden Candy Cane: Click the Candy Cane on the ground. 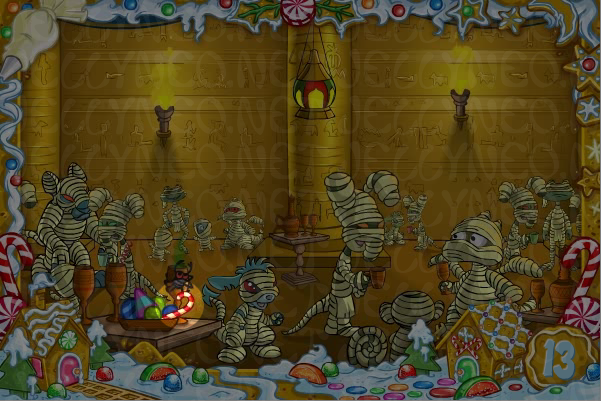 Hidden Candy Cane: Click the Candy Cane in the basket with the Altalaphus. Hidden Candy Cane: Click the Candy Cane on the ground below MAGAX. 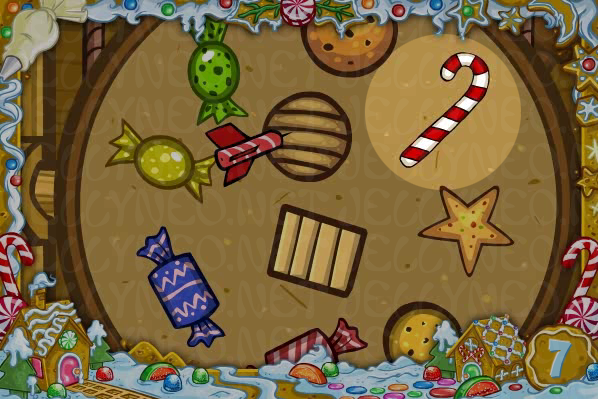 Hidden Candy Cane: Click the Candy Cane in the bowl on the table. 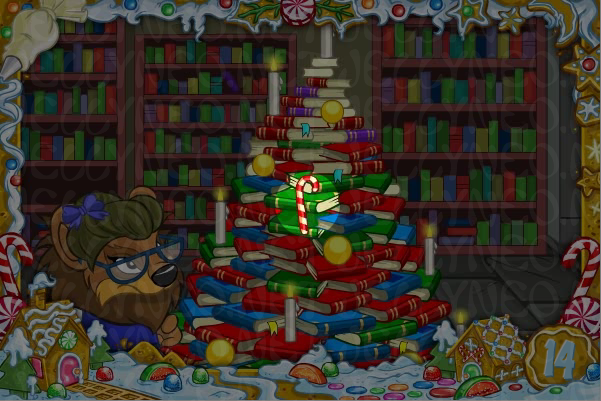 Hidden Candy Cane: Click the Candy Cane on the book tree. 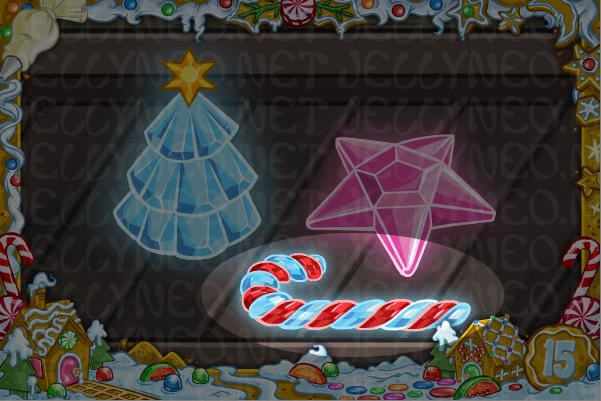 Hidden Candy Cane: Click the crystal Candy Cane. 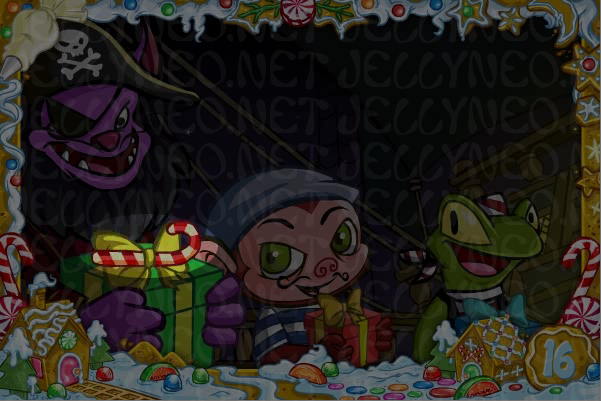 Hidden Candy Cane: Click the Candy Cane on the top of the present. 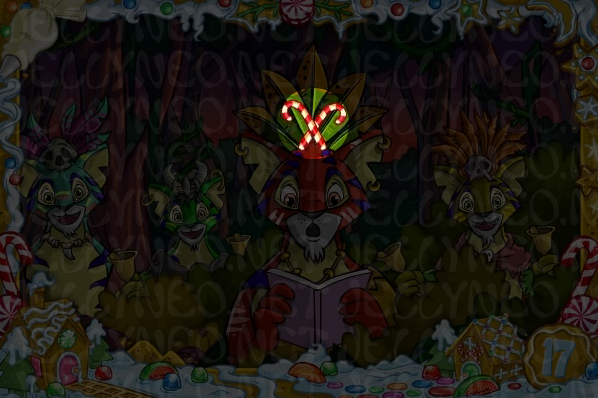 Hidden Candy Cane: Click the Candy Cane on the head of the red Kougra. Hidden Candy Cane: Click the Candy Cane on the pine tree. 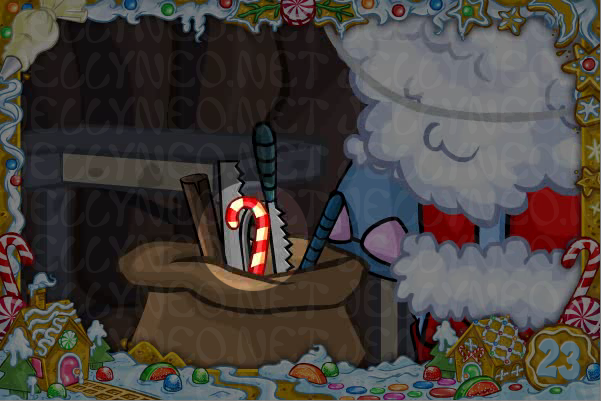 Hidden Candy Cane: Click the Candy Cane held by the bottom snow Kiko. 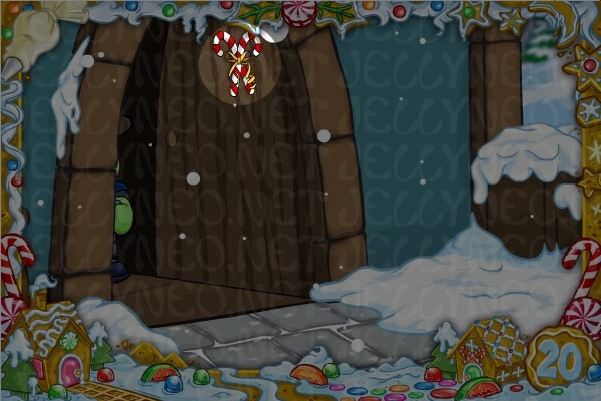 Hidden Candy Cane: Click the Candy Canes on the door. Hidden Candy Cane: Click the Candy Cane in the cup. 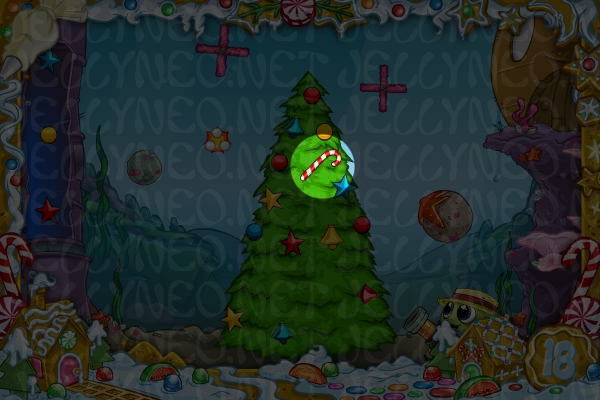 Hidden Candy Cane: Click the Candy Cane in the sack. 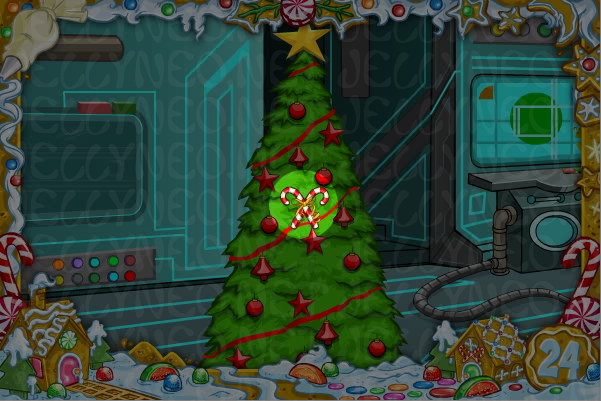 Hidden Candy Cane: Click the Candy Canes on the tree. Hidden Candy Cane: Click the Candy Cane on the plate. Hidden Candy Cane: Click the Candy Cane on the plate of cookies. 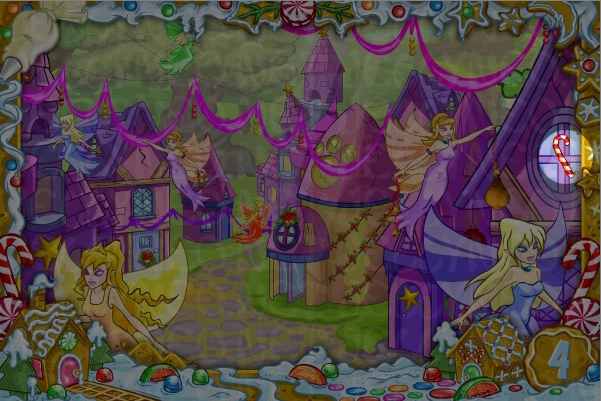 Hidden Candy Cane: There was no animation uploaded on this day. The animation was uploaded later and can be viewed here. Hidden Candy Cane: Click the Candy Cane hanging from the tree. 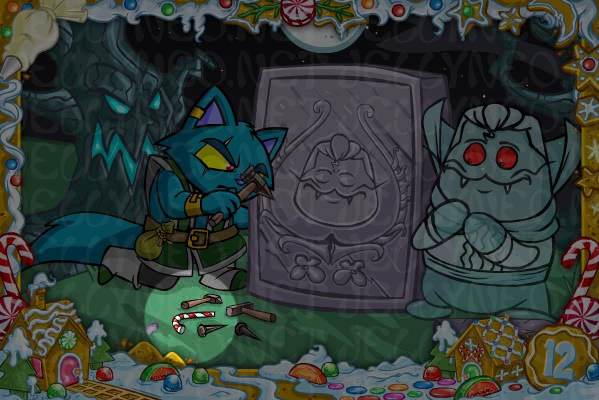 Hidden Candy Cane: Click the Candy Cane in the Draiks hand. 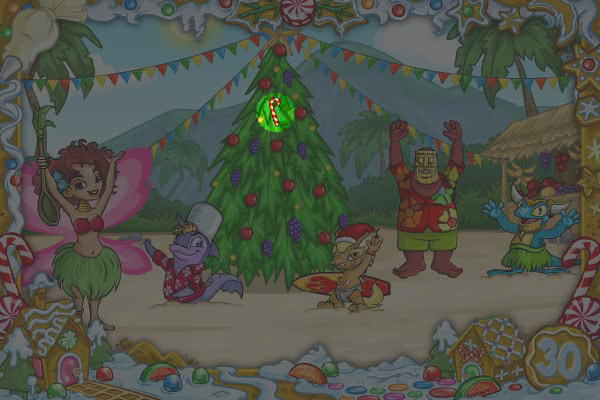 For the third year, each Advent animation has a hidden clickable candy cane in each animation. 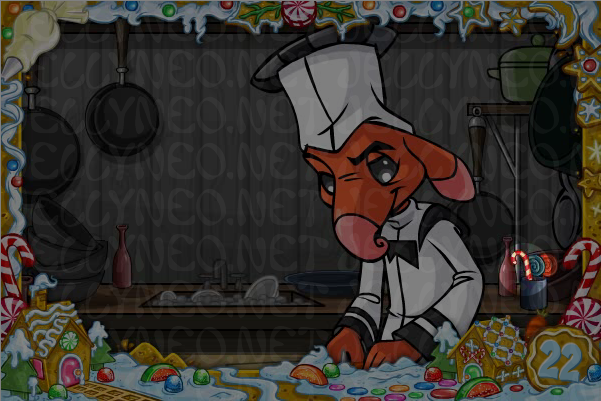 Clicking on these candy canes will award you a random Neopoint item once per day. While collecting a hidden candy cane, you may also be awarded with a special NC Candy Cane Striped Ice Treasure Chest. This treasure chest can be opened with the Ice Candy Cane Key, purchasable in the NC Mall, to reveal a special holiday wearable. The Ice Candy Cane Key can only be used once, so you will need to purchase one for each treasure chest you would like to melt. After applying the Ice Candy Cane Key from your inventory, you'll randomly receive one of the below items. Please note that the Chest will not give out duplicates, so if you open six chests, you will receive one of each item.